Place your brush and tree trimmings in several small piles. Place cut ends of trimmings facing the street. Small amounts of clean (without nails or paint) construction lumber will be accepted for chipping. A 2 x 6 is the widest the chipper will accommodate. Place small trimmings (less than 1/2 inch in diameter) in a pail, garbage can or bundle and tie with string or twine. The Brush Collection Policy limits brush chipping to tree trimmings. It prohibits property owners from cutting down trees and placing branches at the curb for pickup. 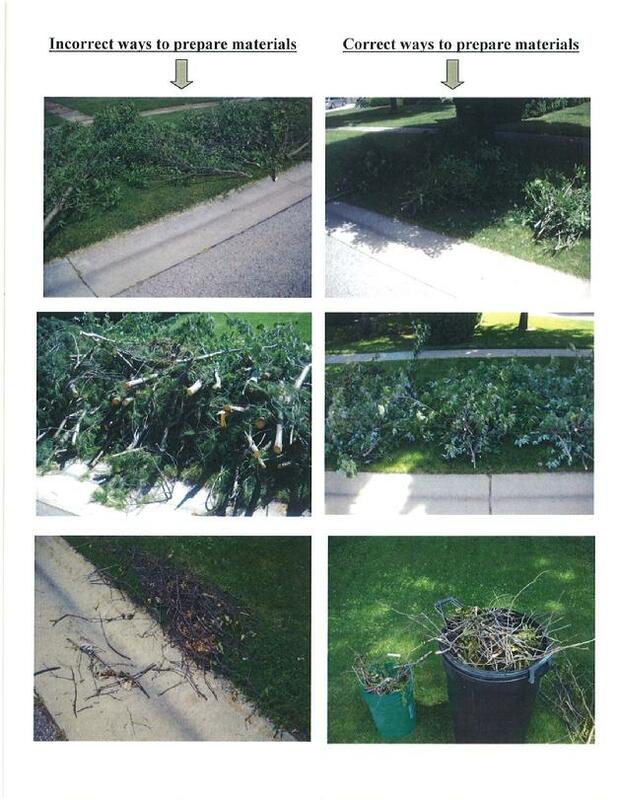 If you plan to cut down a tree, contact the Public Works Department to discuss options available to you. Wood chips are available to Village residents at no cost. If you would like wood chips delivered, contact the Public Works Department at 872-2664 or e-mail Dan at dholdridge@villageofrosendale.com. You will be placed on a priority list in the order your call was received. The Village reserves the right to reject any materials that are not properly prepared. Dispose of the yard waste in the large concrete bunker. Any leaf bags or boxes used to transport yard waste are not to be left at the disposal site. Note: brush is NOT accepted in this area. Brush and tree trimmings are collected at the curb every week during spring, summer and fall.